This particular review has taken quite some time because I was kinda confused by the idea to start with. 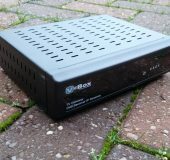 The VBox I have here will basically take the input from your TV aerial or your satellite dish and squirt in onto your tablet, smartphone or smart TV. I say confused because there’s already a lot of solutions out there from TV providers that do this, so how is this different? Out of the box, and I’ll confess to having a well-handled review unit, it seemed quite simple. Up front, a panel with some LED’s and, around back, some input RF ports, a 5 volt power input, an on/off port, LAN and a USB slot. The one I have here is the XTi 3330. Alas, that was all I knew of this box. The instructions were somewhat brief and I assumed that the small guide I had was lacking some sort of fuller manual that had got lost on the way. 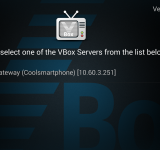 I knew that I had to get the VBox app (Android) or (iPhone), which interacts with the box. 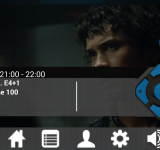 You can, if you’ve got a Smart TV hooked up to the same network that the VBox sits on, use that as your viewing panel, but this is probably meant instead to let you carry around your TV viewing on your mobile device. So, without any real instructions I took my usual route of, basically, guessing. 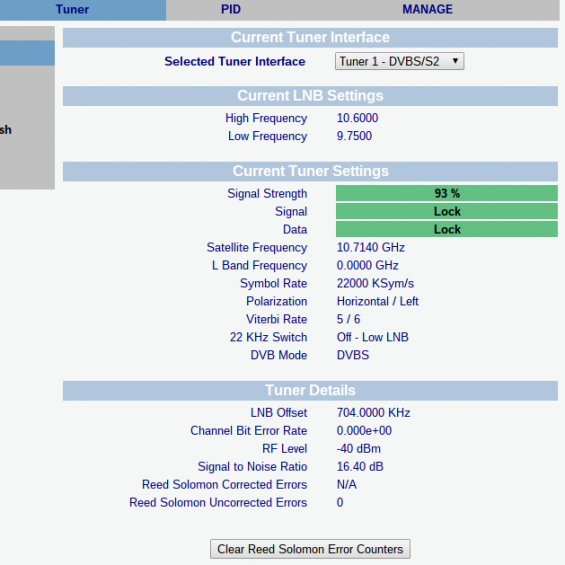 I took one of the feeds from our Sky dish and stuffed it into one of the RF inputs. Powering it up, I then stuck a LAN cable in (supplied) and fed that into my broadband router. Up front, once the unit powers up, you’ll get a corresponding LED to show that a signal is being received. 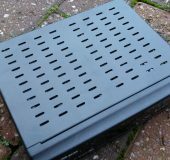 The unit itself, by the way, is about the size of your car radio and, apart from the front section, is made from metal. 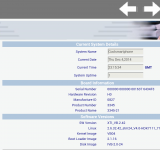 I then got connected, and whether you do this next part via the web control panel or the app (probably the latter) is up to you. This is where things kinda got tricky for me as setting up a satellite TV feed is a little more than difficult. If you’ve got Sky TV or a satellite installation engineer then it’s all done for you, but instead I had to put in the frequency, the polarisation and baud rate amongst other bits. As you can see, it’s a bit of a complex task. 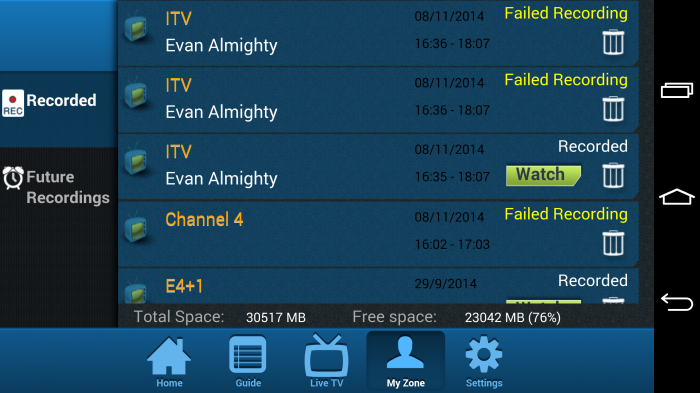 A lot of this information I had to get from the channel setup on my existing Sky box and some random TV forums..
Getting all that sorted out was quite difficult, I have to say, and at this point – especially if you’ve got cable or satellite from Virgin or Sky – you’ve probably already got a mobile app that’ll let you watch live TV, recorded TV or on-demand TV. 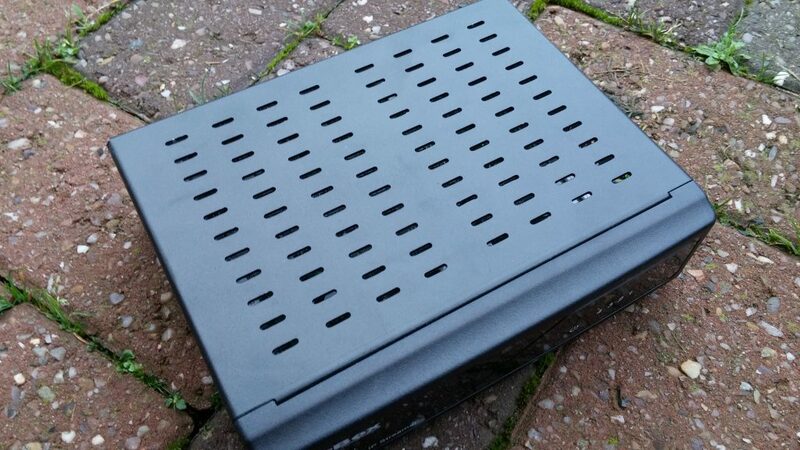 So it becomes quite difficult to see where this fits in, especially when it’s more than a little combersome to set it up for grabbing your TV from a satellite dish. This is where I can start to see it appealing to those who don’t have the full satellite feed (and perhaps want a more capable and portable Freesat) or perhaps want an advanced version of their standard terrestrial digital TV. To explain myself a little, imagine your standard Smart TV. 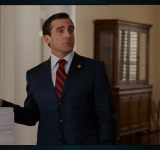 With digital TV it’ll get stacks of channels out of the box. You can view music channels, shopping channels and more. You can maybe even stick a USB pen in the back and start recording shows too. This VBox will do all that plus media appear on your smartphone or tablet. If you don’t necessarily want a TV in your spare room then, if you don’t mind struggling through the setup process, this can be pretty useful to let you watch everything that your aerial or satellite can pickup. 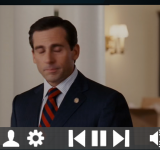 Whilst there are apps (and indeed websites) that’ll let you watch content on mobile devices, this does put more of that content under your control and you do get a lot more choice straight out of the box without needing internet connectivity. 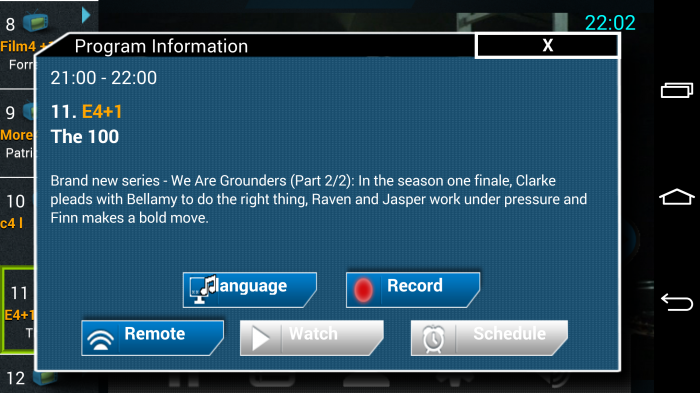 Within the app there’s a stack of options and you can rescan channels, update the config, check the electronic programme guide. 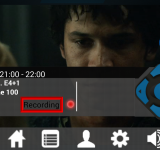 You can schedule recordings and play them back very easily indeed, plus you don’t need to worry about having your tablet or smartphone turned on – the VBox will record your stuff and the TV guide is easy to navigate. 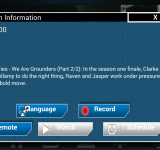 You can see how much storage you have left on your USB device and each recorded show will display the full programme information, so you can see which episode you recorded etc. 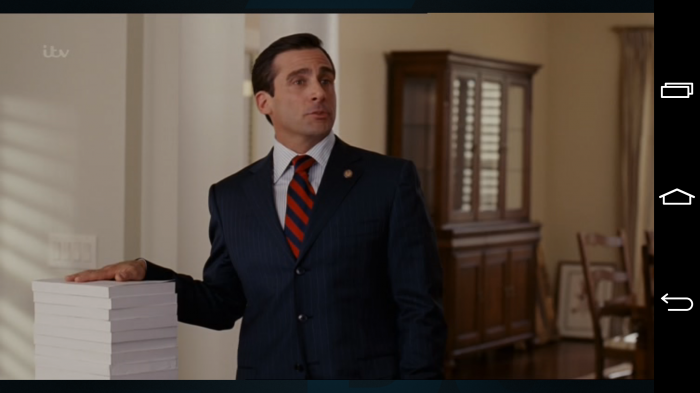 It’ll also show you the recordings that are due. 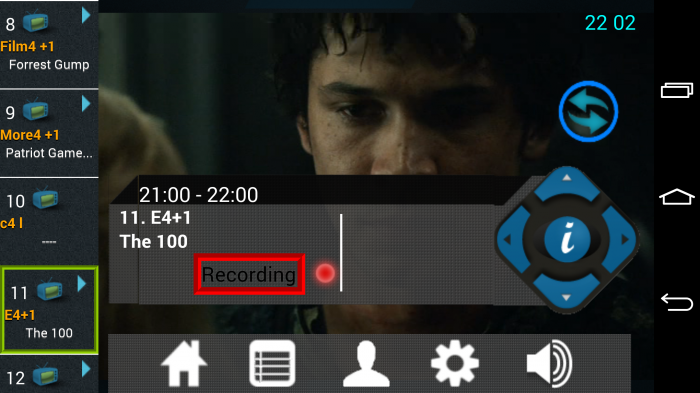 Within the live TV screen you also get to see what’s on now, next and you can switch up and down channels, adjust the audio track (if available), instantly record or add subtitles. Plus, as a little added extra, you can get access to additional content over the internet. 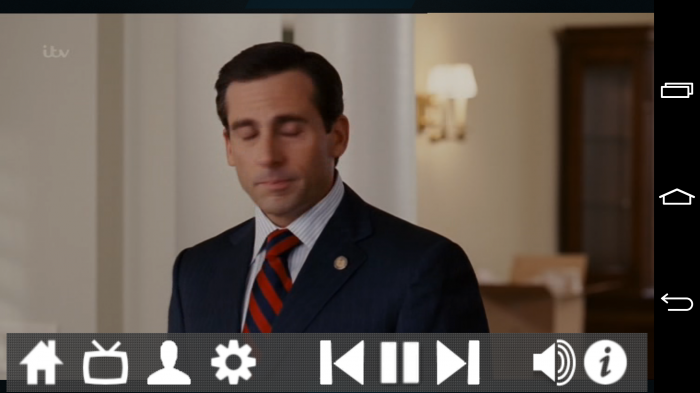 YouTube, Vimeo, Flickr and other links are available on the main page to let you view other content. 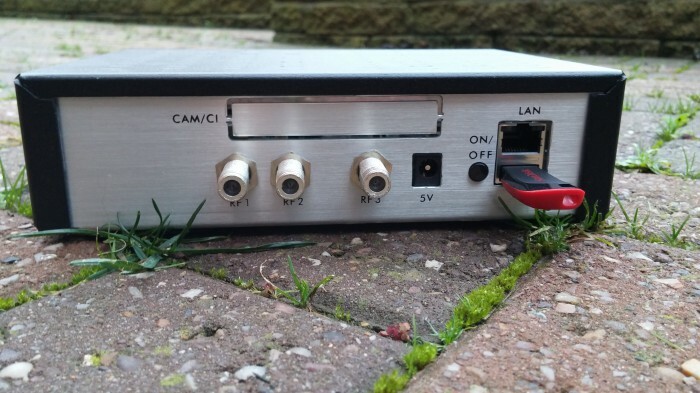 A nice gadget for converting all manner of TV signals from terrestrial, cable and satellite sources and then converting them into very high quality broadcast-quality video on your device. There’s no stutter and sound quality is absolutely perfect – just as it would be on your TV. Not only that, but the app also makes available some internet-TV streams in the same place, so you can choose the stuff being fed into the box from your aerial or internet feed. Also, let’s not forget that there’s three inputs on this little box, so you can add together a couple of satellite feeds and a terrestrial feed too. Ideal if you’re after a cheap way to get as many free-to-air channels as possible. I should point out that the product listing shows that multiple users can view different channels at once, but I wasn’t able to as you’ve seen from the video above. To be honest I kinda wanted to find a way of viewing my content from outside of my WIFi network, perhaps accessing my home satellite and TV feeds from a 3G network or another WiFi elsewhere. 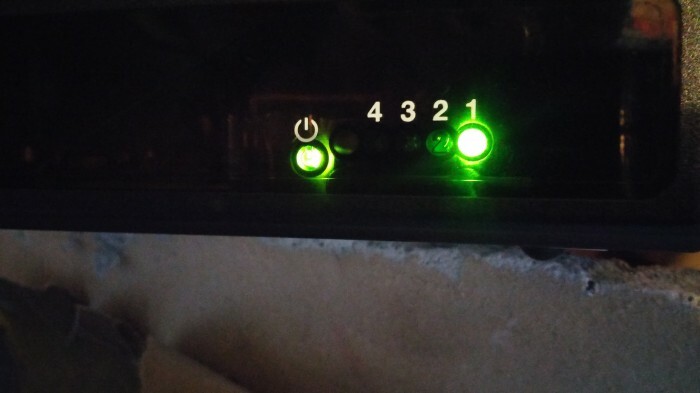 Despite faffing about with port forwarding and other bits I couldn’t get it working, but I guess that’d be a bit of a bonus for ex-pats wanting to view their UK TV in Spain or elsewhere if it did work. 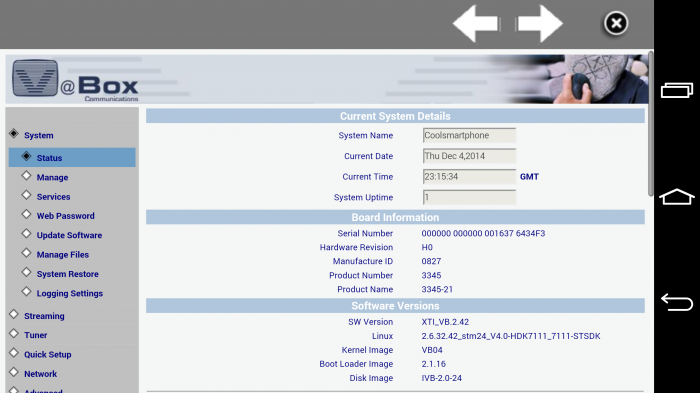 I did like the fact that the box did all the encoding for you, so there was no “weight” on the smartphone or tablet – it simply acted as a screen, which was a bonus, but although some steps had been taken to try and make the setup process a little easier (like listing satellites), it was still a minefield. As for cost, there’s various different models available. Head to the VBox website for the price for your country and setup. It ranges from €129, which is around £100 as I type. 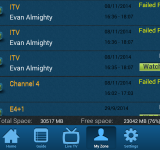 AMSTERDAM, The Netherlands – September 11, 2014 – VBox Communications, the pioneer of live TV streaming to connected devices in the home, announced today the unveiling of a new app for Android set-top boxes at IBC. The app, which brings live TV in full broadcast quality and recording capabilities to Android set-top boxes, will be available for free download from the Android play store next month. 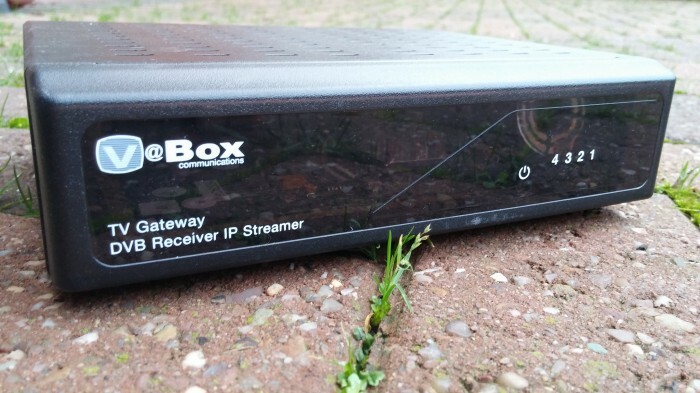 The app is compatible with VBox Communications’ TV Gateway, which receives broadcast TV signals from terrestrial, cable and satellite sources and converts them to IP at the consumer’s home. The device then simultaneously streams multiple high quality broadcast TV channels across the home network to any connected (UPnP) device, such as a Smart TV, tablet, PC, Mac, smartphone, Android set-top box, game console, iPhone and iPad. Additionally, the Gateway serves as a whole-house-DVR/PVR and allows users to record live HDTV on removable or network storage. This particular review has taken quite some time because I was kinda confused by the idea to start with. 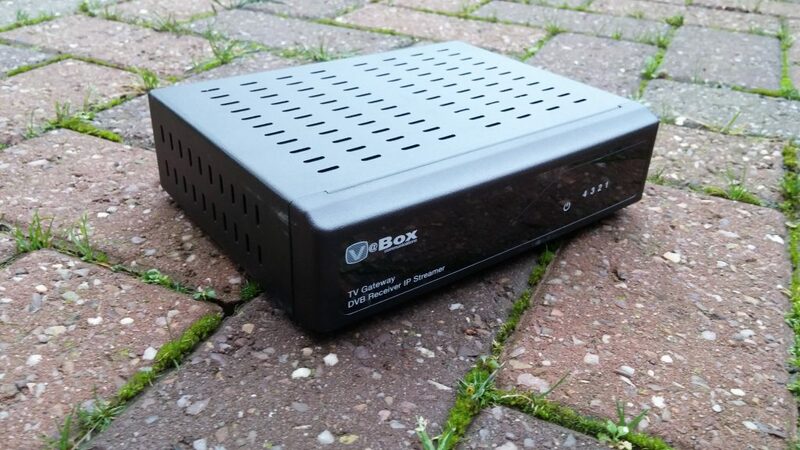 The VBox I have here will basically take the input from your TV aerial or your satellite dish and squirt in onto your tablet, smartphone or smart TV. I say confused because there's already a lot of solutions out there from TV providers that do this, so how is this different? Out of the box, and I'll confess to having a well-handled review unit, it seemed quite simple. Up front, a panel with some LED's and, around back, some input RF ports, a 5 volt power input, an on/off port, LAN and a USB slot. The one I have here is the XTi 3330. Alas, that was all I knew of this box. The instructions were somewhat brief and I assumed that the small guide I had was lacking some sort of fuller manual that had got lost on the way. 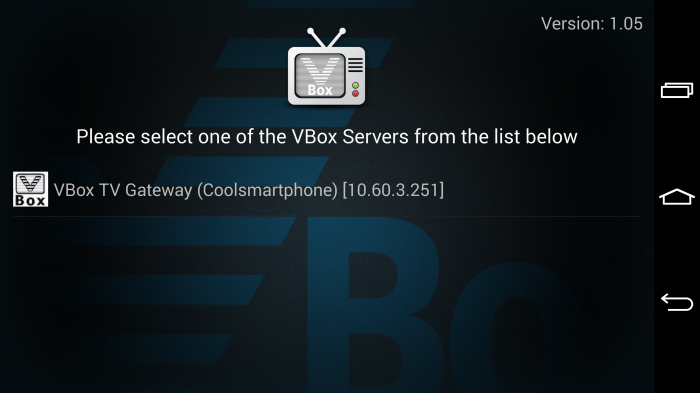 I knew that I had to get the VBox app (Android) or (iPhone), which interacts with the box. 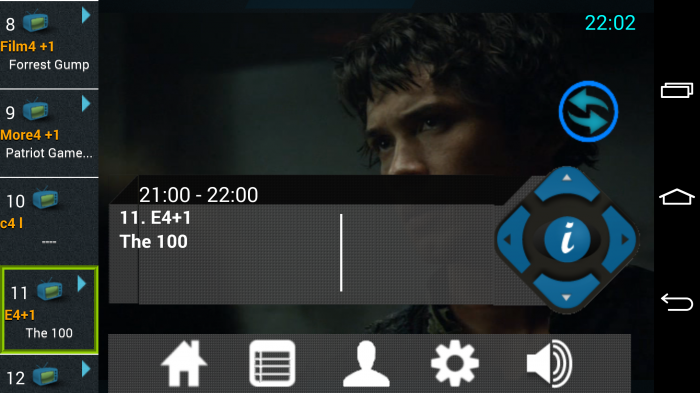 You can, if you've got a Smart TV hooked up to the same network that the VBox sits on, use that as your viewing panel, but this is probably meant instead to let you carry around your TV viewing on your mobile device. A little complex to install, but easily spits out clear IP streams from multiple inputs.